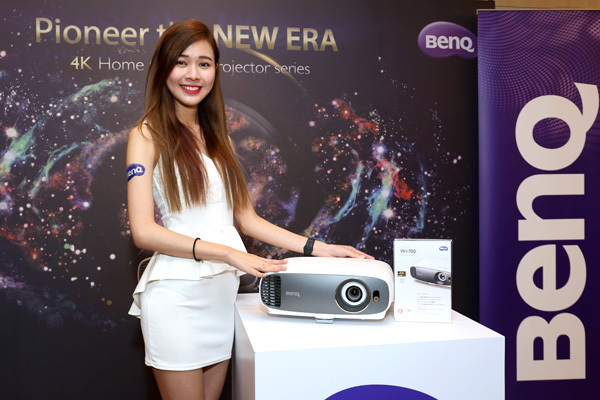 BenQ, the global leading DLP projector brand, today announced the new CineHome W1700 4K HDR home cinema projector. Priced at RM7,999, this affordable home cinema projector is equipped with the latest 4K UHD HDR technology, as it offers 8.3 million pixel true UHD 4K resolution, CinematicColor™ accuracy, and projection-optimised HDR for stunning true-to-life image quality. Producing 8.3 million distinct pixels for true 4K UHD performance, the W1700 utilises revolutionary 0.47” single-DMD DLP technology to further minimise the projector’s already sleek, compact profile for modern lifestyles, and a pure 4K-optimised optical system for ultimate image precision and colour accuracy without artifacts that can affect LCD projectors. The W1700’s pristine 4K video quality is supercharged by High Dynamic Range (HDR10) support, offering greater brightness and contrast range with auto image optimisation to bring out every lifelike detail for cinema enjoyment. The W1700 also delivers breathtaking realism to the living room big screen, in addition to offering support for the latest HDCP 2.2 copy protection, enabling users to enjoy the latest 4K content. Evoking genuine emotions by preserving authentic cinematic colours, the W1700 employs exclusive BenQ CinematicColor™ technology and the RGBRGB color wheel to meet the film industry’s highest standards of color accuracy. With over 96% coverage of the Rec. 709 color gamut with precise Delta E<3 performance, the W1700 faithfully reproduces exactly what filmmakers intended. 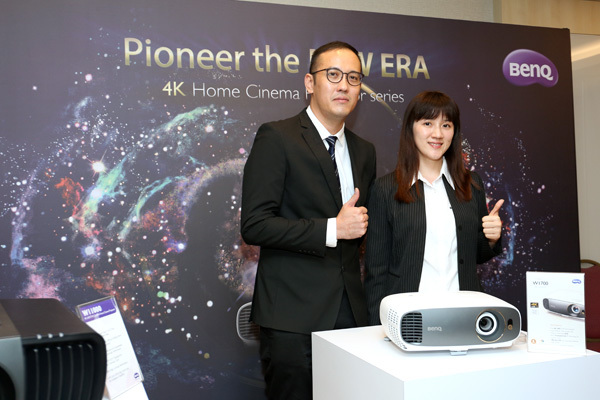 “4K movies are increasingly becoming the norm today and the BenQ W1700 4K HDR Home Cinema Projector has the ability to faithfully reproduce colour in 4K resolution as intended by a director making it an ideal choice for those who enjoy a cinematic movie experience at home,” said Mr. Leroy Low, a renowned Malaysian Film Director who shared his experiences at the launch. The W1700’s astounding audiovisual performance is further enhanced by proprietary CinemaMaster Video+ and CinemaMaster Audio+ 2 technologies, turning even modest spaces into world-class cinema auditoriums with motion-adaptive edge pixel enhancement, sophisticated colour algorithms, and beautiful flesh tone rendition as well as dramatic audio processing for resonant bass and soaring high notes. Blending beautiful aesthetics with flawless function, the W1700’s lightweight design, sleek profile, and compact footprint blend perfectly into any décor. 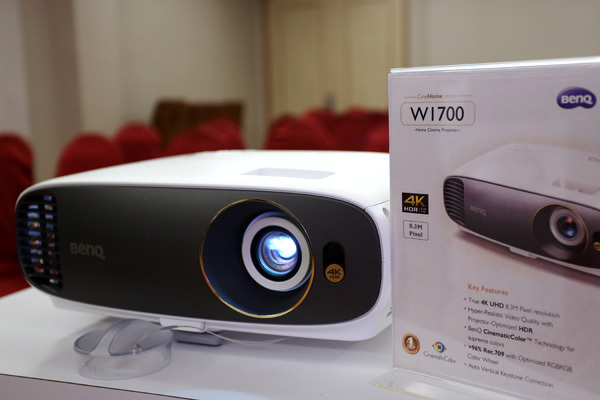 Comprehensively equipped with auto keystone correction and powerful 1.2X big zoom to accommodate any space, the W1700 can be effortlessly set up to host 4K movie nights in minutes. Simple and modern, the W1700 easily becomes a smart projector by connecting an HDMI dongle such as Google Chromecast or the Amazon Fire TV Stick to instantly stream TV shows, movies, sports, and even video games to the big screen. Powered by Digital Light Processing, the 2015 Academy Award of Merit Oscar® winning technology used in 90% of the world’s digital cinemas, the W1700 is able to deliver long-lasting picture quality with precise colors and razor-sharp clarity without maintenance or degradation. The BenQ W1700 4K UHD Home Cinema projector will be available in January 2018, with the SRP RM7,999 at authorised dealers nationwide and online at Lazada. To find out more information about the BenQ Cinehome W1700 4K HDR Home Cinema projectors, please visit here.